Oh, taste and see that the Lord is good; blessed is the man who trust in him. I will move ahead bold and confident. I'll take every step in obediance. While I am waiting. I will serve you. While I am waiting I will worship you. While I am waiting. I will not faint. I'll be running the race while I am waiting. And today I worhsip Him. I am sure most of you have heard this song. I was thinking about what I wanted to post today and this song came on my music package on the t.v. while I was cleaning this morning. This was perfect for where I am right now. I hope you enjoy. Right now I am waiting on God. I have seemed to become a broken record for the last few weeks. Each post is about our house search. Or about my less than great attempt at patience. These words reminded me what I need to be doing . . .
And I will be leaning on God's word and His promises. It was a wet and cold week. Perfect for snuggling in and reading a good book. I was lucky to have a couple provided for me by Random House and Waterbrook Maltnomah Publishing Group. Yesterday's Promise was a good book to spend some time reading. I had a little difficulty with it and before writing this review I thought I would visit a couple of other blogger reviews. 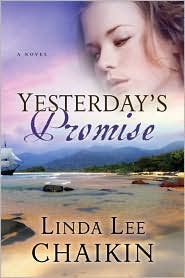 Yesterday's Promise is the 2nd book in a 3 book series by Linda Lee Chaikin. Some reviewers said they felt that reading the first book would make Yesterday's Promise easier to read. Personally I disagree with that thought. As I said I had difficulty reading it but I don't think it was the fact that I had not read the first book. I think I would have had the same problem either way. What was difficult for me was that there were so many characters and some undeveloped that it was difficult keeping up. There was a lot of historical information that was interesting and it seemed to drag out the story to me. The other thing that botherd me was that I was constantly wanting to know what was going on with Evy the heroine in the story. I hope they don't send out the reviewer police but I caught myself after reading chapter after chapter about Rogan and his adventures that I would jump ahead to see what was going on with Evy. I felt like at places that the author had just jumped off in a different direction and left us hanging. Personally I strugged getting to the end. And honestly if I had purchased this book and was not reading it for review I probably would have gotten bored and put it down. But I am glad that I kept reading because I really did enjoy the ending and finally figuring out what was going on. The ending piqued my interest and made me want to read the third book to see what happens with Rogan and Evy. And also Rogan's sister Arcilla. Here's the brief discription of the book from the backcover . . . He fought to seek his fortune. Would he lose a greater treasure: the love he left behind? As the son of the squire of Grimston Way, aristocrat Rogan Chantry has fought hard to win his independence from Sir Julien Bley and the British South Africa Company. Now, his pursuit of a mysterious deposit of gold, marked on a map willed to him by his murdered uncle, Henry Chantry, is challenged by a new complication: the impending British colonization of South Africa. Can Sir Rogan find the gold in the midst of escalating tensions among the native tribesmen, the missionaries sent to win them, and the new colonists?Meanwhile, Evy Varley, the woman Rogan loves back in England, is headed for a brave yet dangerous confrontation with Henry’s killer–but at what price? With so much against Rogan and Evy, a reunion seems improbable, if not impossible. Can yesterday’s promise hold them faithful to the hope of future freedom and a victorious love? I'll be writing a second review this weekend because there is a fun tour going on provided by Waterbrook Multonoma Publishing Group. Here's the information about the other books that are offered on the tour. And they are all on sale. Check them out. Leaving you an angel to watch over you today. I am on My Journey . . . see you tomorrow for Then Sings My Soul. May you have a Blessed Friday and a wonderfully Blessed Weekend. I have met some really cool people since I began blogging. There have been many times when I have written thankful posts that I have mentioned how thankful I am for new friends. I have met some wonderful Women of Faith and I thank God for them. I thank God for the way he uses them to encourage me. And I am sure many others are encouraged as well. Today I want to share my 'little sis' Alicia with you. 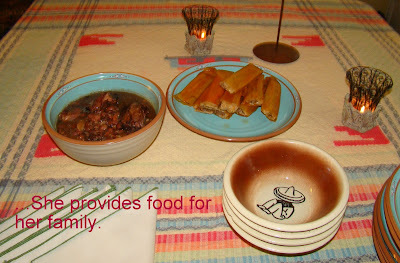 Today she wrote a wonderful Wordfilled Wednesday post. Her post was about one of my family verses. A verse in Deuteronomy that gives instruction to parents. Here's part of what Alicia said . . .
"I love this picture that my sweet friend, Beth, took this picture of us. It captures the spirit of our family. We're close knit. We're always together. We're always talking. We're always having fun. But our life isn't all about fun and games. It's also about teaching. It is our heart's desire that our son grow in the fear and admonition of the Lord. But that doesn't just magically happen. It requires intentional thought and training (and yes, lots of prayer). " Alicia shares great wisdom and even some suggestions to help other young parents teach thier children about God. I know you'll definately enjoy your visit and I just bet you'll find a new friend. And BTW please let Alicia know I sent you! Amy Deanne is the creator of Wordfilled Wednesday. Thanks for inspiring us all to create beautiful photo illustrations of God's word. I am into Disclaimers today . . . I am not a fan of Baseball. Sorry didn't mean to confuse you. But I was thinking about what is going on right now with our life. And I was looking at my blog and the header and I realized that I was thinking that God has given us a curve ball. At the beginning of the year I posted that I wanted to dedicate this blog to serving God. I want to write things that are an encouragement to you. I want to post photo's and review books that are uplifting and encouraging or entertaining in a healthy way. Now with the curve ball of having to move I am confused and frustrated. I am anxious. But I am leaning on and trusting God's word. He also says ". . . The Lord your God is with you, (even in the storm of life or when you receive a curve ball) he is mighty to save. He will take great delight in you, he will quiet you with his love, he will rejoice over you with singing." Zephaniah 3:17. I seek his love to quiet my spirit. 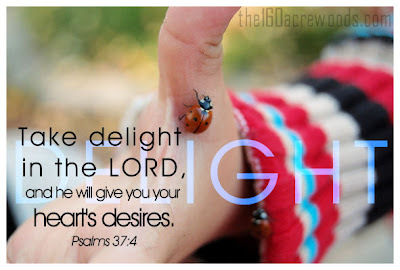 I seek his delight. I pray that all that I do and all that I am is a delight to my heavenly father. I listen to hear his singing. "Trust in the Lord with all your heart and lean not on your own understanding but; in all your ways acknowledge him and he will make your paths straight." I pray for a straight path. I pray God will reveal his plan his short term plan for our lives. Have you receive a few curve balls recently? Are you going through a storm and your wondering where God is in all this? 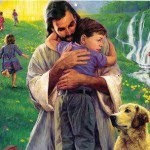 Well he is where he always is right in the middle sometimes he calms the storm and sometimes he calms the child. I just finished reading a fun book. Actually I read it a couple of weeks ago but I was offered the book by the publisher for a blog tour. Today is my assigned day to post. I have had to be patient because I wanted to tell you all about it as soon as I finished reading. This was a fun read. Opp's sorry I said that already. Double Trouble is the second in a series called the PJ Sugar Series. P.J. Sugar is the main character of the book. She is a fun quirky girl trying to get her life straight and follow God's will. In this the second book she has returned to her hometown and has begun working as an assitant to Private Investigators Jeremy Kane. The story begins with P.J. and Jeremy on a stake-out. P.J. seems to always get into some kind of trouble or scrape. She seems to read between the lines and sees drama or intrique around every corner. And, she usually ends up right. Along for the ride is P.J. 's old/current boyfriend police Detective Boone. The two were high school sweethearts. Boone seems to be lost in the past which doesn't settle well with P.J. She wants Boone to accept her for who she is. Personally I was frustrated with Boone's character and I would have given him the boot. He seems to constantly urge P.J. into a different 'line of work' for her safety and ignoring P.J. 's to be good at her new found occupation. I enjoyed the story. 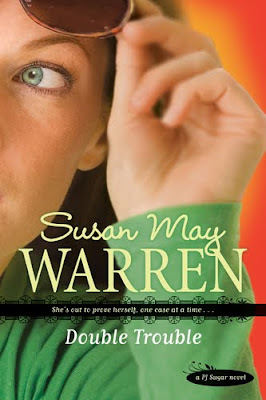 I enjoyed the way that Ms. Warren developed the characters. I am looking forward to the next installment of P.J. 's story. I am expecting P.J. to end up with Jeremy. And of course this opens up for another story about Boone and his finding the love of his life. Sounds good to me. I would give this book 5 stars. And as I said I definately look forward to the next book in the series. This book was provided for review by Litfuse Publicity Group. You can go here to purchase a copy on line. If you want to read another review check out the blog tour here. My Day Book Entry/A Few Plans . . .
clouds and gray skies, calm cold - spring has started but winter hasn't loosened her grip completely. I am wearing ... warm fleece pants hand me down Ambercrombie and Fitch henley and warm socks and slippers. I am hoping ... We don't get more snow. A beautiful new house in my mind. 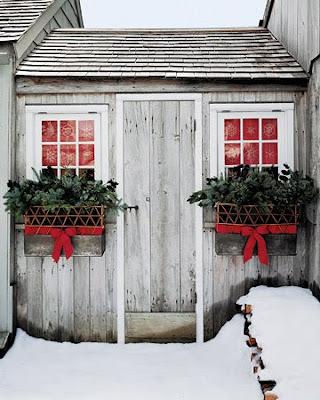 I have lots of new ideas found on other blogs that I want to use when I get my new house. And I am creating a mountain of packed boxes ready to move! This is a quilt I finished a long time ago. I am hoping to finish the binding this week. Thanks for stopping by and visiting I enjoy sharing my plans for the week. I hope you enjoy your visit. And when your done you can go to Peggy's to see more Day Book entries. May your day be filled with God's love. Take time and delight in Him today. I love this song. It is one our church sang a lot. I found this on youtube I have never seen it done in dance. What a wonderful expression of Praise. I am currently reading a book about Worship and Praise. I thought this was a lovely expression. For more Then Sings My Soul posts go over and visit Amy. May your day be filled with God's Mercy and Blessings. I was reminded of it through another blogger. It is amazing how God can use this medium to spread his Love and Wisdom. I didn't get to write a Thankful post on Thursday but I am so thankful for all the people that I have already met through blogging. have been times that I have written more than half of Psalms during a month. These are the times that I lean on the Holy Spirit. When I am at a loss of words. That is where I am right now. I feel like we are in such limbo. Trying to find a house when you are on a deadline is hard in normal circumstances. But our circumstances are no where near normal. I am waiting as patiently as I can. I am trusting God. I am praying that God will direct our paths. I hope you'll keep coming by to visit. Even when I haven't had a chance to write a post or on those days when my mind is boggled and I can't think of anything to say. 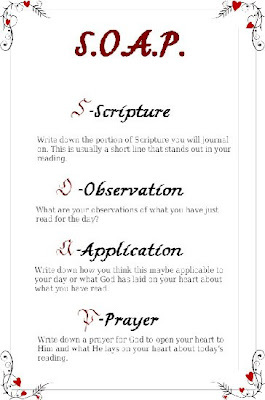 I pray that your day is Blessed and if you haven't tried this method of study try it and let me know how it works out for you. May I Share My Friend . . . I was over visiting my friend Carrie at Farming on Faith just now and I wanted to share with you what she was writing about today. I was so impressed with her heart and the words she spoke that I want to invite you over to visit. Her post today was about sharing the good news of Jesus Christ. Specifically she was writing about sharing with those of the Amish faith. I invite you to go over and read Carrie's post. I could not possibly say it better than she did. And if I tried to quote or explain it here it would be a disservice to the wonderfully written words she shared. And, while your there she happens to be having a give way so what better time than now to go over for a visit and find a new friend. I took a break today from looking for a house and packing to do a little visiting in blog land. One of my favorite people and places is Rachel Anne's Home Sanctuary. I was other there today and she suggested visting another blog so I did. And then I went to another blog and found this...I loved the idea so I wanted to share it! Rowena is trying to get people to join her in de-cluttering. I am going to join. I had a great time reading some of the other posts. So if you need a little nudge toward de-cluttering join us. We are still on our quest to find a new home. To day we began talking about something that I really need wisdom and guidance from the Lord concerning. And so dear sweet sisters. I ask you all to pray for us and leave me comments and words of wisdom. This is something that I have been thinking about for a while. The other day we found a house that would accomodate us and my mother. I began praying about my mother moving in with us. Actually praying God would soften Cowboys heart to even consider it. And God did begin to move. Today during a conversation about houses I mentioned to Cowboy and he agreed. Would you guys prayer with us. We are still house hunting but now our criteria has changed somewhat. We haven't even spoken to my mother who will need some huge nudging. But if God softened Cowboys heart then I know he will work a miracle with not only my mother but with all the details. I have been wanting this for awhile. As I was praying last night I was overwhelmed concerning the thought of my mommy coming to live with me. I don't get to see her often. Having her with us would be fun in a lot of ways I know. But in a lot of ways it will be a huge change. If any of you have your elderly parents living with you and you have any words of wisdom I would surely appreciate it. And, please pray for us. All of us as we seek God's direction. For we lift our soul to you. You will be drawn in when you read the introduction. I was enthralled by each chapter of this book. I have not read anything by John or Stasi before but I found Love and War to be easy to read. It's pages are filled with wisdom and filled with openness. You are grabbed by the first few pages. Honestly when I was asked to read this book I considered declining. I was thinking 'What another book about marriage?' I mean how many books old and new are out there on the aisles of the Christian book stores? I was truly surprised. I expected another self help kind of book. Or something written by some doctor that I would have a hard time reading. I found honesty and personal stories that brought each topic into my reality. Each chapter is divided into subtopics. I loved the almost back to back topics of 'Our little Quirks' and 'Speculation'. I struggle with both of these topics. The Eldredge's leave the reader with the feeling they are not alone. Every couple struggles with the same things. 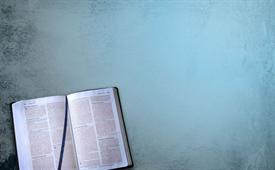 They take you to scripture to follow up their teaching and the wisdom they share. I enjoyed these two topics but I really still don't know why men rinse the dish out and leave it on the counter or in the sink? I would highly recommend this book. In fact I am struggling with keeping it or giving it away here on my blog. It is the type of book that you will go back to and read again. It would make a great gift book. And I think even though most about to be married couples wouldn't think they would need it I think it would make a great wedding gift given by the right person. I know my kids would have greatly benefited from this book and they would have gladly accepted it from me. 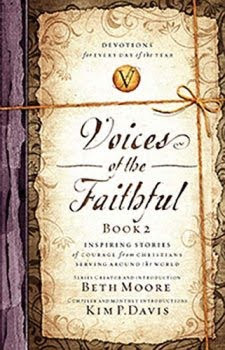 I want to thank WaterBrook Multnomah for offering this book for review. And, I want to apologize for my post being late. I spent most of last week working on a new blog and adding pages to this blog to separate the different topics that I write about. And, after hours of work something went wrong somewhere and I lost all my changes. You gotta love it! May your Marriage be Blessed. Happy reading and happy blogging. I hope you can get this. I couldn't get it to line up when it is pubished. but if you take the verse and line it up where the red letters are in line down the page it spells Valentine. Here are some other things I am thankful for in photos. 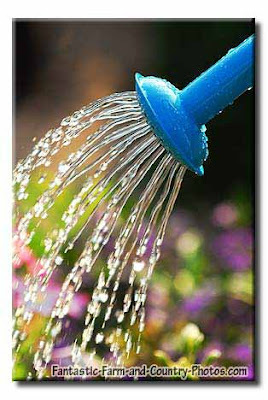 I am thankful that in April I will be doing this with my halfway house girls at my church. We will be meeting every other Friday. 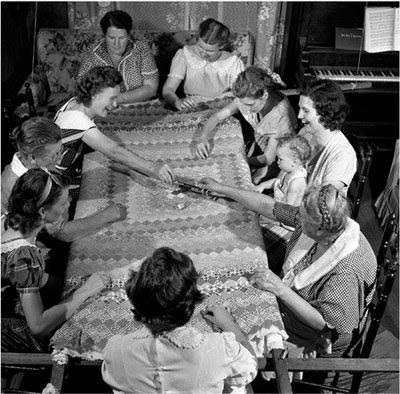 The girls will learn to sew and we will make quilts that will be donated to charity. I cannot believe from that one file cabinet alone I had two kitchen size trashbags. When I ran across the 1998 Mapsco I knew I was onto something. BTW it was under some files I didn't know it was there. LOL. I am also Thankful that God gives me peace. Even though we are once again looking for a house I am at Peace about the whole thing. I am anxious. Not in a bad way. But anxious to find some place and get moved. The living in limbo is hard. I can't wait to see my new house and start making it warm and cozy. There are many things that we could/should be thankful for. What are you thankful for today? Are you a Proverbs 31 Woman? I consider if I am? Oh I try but most of the time I fall short. I was thinking about menu planning today because on Monday Rachel Anne at Home Sanctuary suggested planning a menu for the week and so I took her challenge and planned one for this week. It was actually pretty easy for me because we had gone to the store on Sunday night and got some things on sale. As I was thinking about it and thinking of what verse I wanted to use today the passage in Proverbs came to my mind. I am remembering...all the things I need to do! 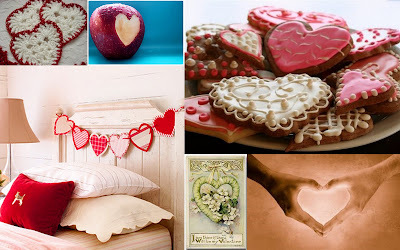 I have been collecting valentine and heart photo's for a year. Some of my favorites. Peggy had trouble getting Mr. Linky up today. Hope you get it working. I am also linking with Mosaic Monday.
. . . I don't know! Sorry guys I know your on the edges of your seats but I planned to have Cowboy choose a number between 1 and 15. Yes I said 15...there were only 15 comments since last Monday on my blog. That makes me sad. But for you guys that commented gives you a better chance. Anyway Cowboy was running late and I didn't get to ask him. The only other people around this morning are a 20 month old that only says Bye, Mama, Dada, Moo and a couple of other words I don't quite get. And my dog Daisy that only sits up and shakes hands. And a cat that lays around and sleeps. You'll have to wait till Cowboy calls or comes home. Thanks to everyone that left a comment last week. Last Friday I wrote about something God has been putting on my heart. Actually two things. Faith and Fruit. 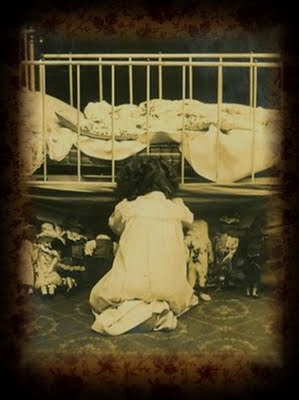 This photo reminds me that I need to have the faith of a child. To trust him in all things. It has been a somewhat rocky road this week. For me personally and for staff of our state's youth prison system. On Monday two boys from our facility found car keys in a volunteers coat pocket. They walked out the front door took the vehicle and ran. They were found a couple of days later. But the incident has caused many new rulers. And repercussions for some. Along with just annoying paper work etc. The incident really doesn't effect our ministry except that we now have to through a new 2 hour training. No biggy really. But a couple of people that have become friends of mine through a working relationship have incurred lots of more duties and have had to deal with complaints from volunteers. So they have had really a bad week. They have both been on my heart this week and so I have prayed for them and sent emails to encourage and lift them up. Personally I am stuggling with keeping up the faith that God is control and will take care of us and provide. The corporate funds that we are expecting has been delayed so that delays our move. We did find a house but we promised to be able to pay deposits by today. That can't happen now. So I am on my knees and turning it over to God. Faith. I am working on it. I could say alot more but it would end up ramblings from a tired, nyquil induced brain. I hope that you are encouraged a little. Maybe just to look around you. Maybe God will show you someone that needs to be encouraged. Say a prayer for a friend or send a card. Or you might even leave a comment here and win this . . . It would make a great gift. Just leave a comment. I am drawing on Monday. And hint, hint, there are not very many comments! Praying you have a Blessed Friday and if you go on a date write about it and let me know! Friday Date Night is still underway. Welcome please forgive me for leaving the mat out and not meeting you at the door. I am under the weather. I have been battling a cold for a few days and I have officially lost the battle. Right now I can hardly put a coherent thought together. I will try to continue to list some things in the shop today so if your a quilter come back over. I am thankful I slept last night and this morning didn't get up till 9:30! I am thankful for nyquil. I am thankful God provides what we need. I am thankful God is patient with me. I am thankful for all my sweet friends that are praying for the house, for the shop and now please pray I get better. I am also thankful for the erase button....I deleted the whinny sentence. Tomorrow I'll be sharing a little about why I decided to take the plunge and put some things up on the Etsy Shop. I put some things on the sidebar. I promise I won't leave them up forever. It isn't my desire to turn this blog into a store. But I wanted to let you know what I am up to. Soon I'll be moving the shop info. to the bottom of the page. But I wanted to highlight in for a few days. I need to get some stuff sold and moved out. Because I am moving out. We did find a house in Southlake. If you have heard of it don't get all weird on me I am moving into a slum house compared to the other houses in the city. We love the little house. But it is going to take every dime we can scrape up to make it happen. So the opening of The Mission Shop. I have lots and lots and lots of fabric to sell. If your a quilter or seamstress please begin checking I'll posting some things everyday. I also have a few vintage kitchen items, and sewing supplies too. 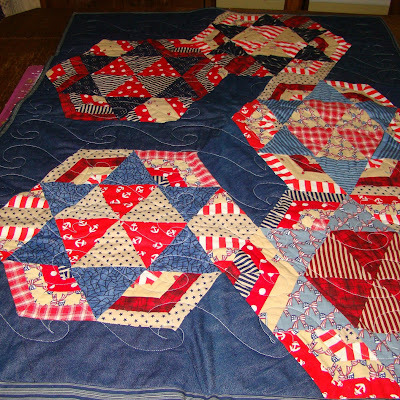 And I'll post a few quilts too. Just keep coming by and stay tuned. Also dear friends please pray for us. My lifestyle has already changed this year due to ministry but once we move I'll be working a lot more in the fundraising efforts mostly writing grants but it will keep me from posting as much. I have a lovely office of my own that I will not have to share as long as I get some grants written and some funding coming in. And if (strike over...I don't know how to do that) when I do then I hope to get back to the sewing room and making more Angel's and Santa's like the ones I have posted already. Thanks for visiting. I know I need to get the background changed and I need to clean up the sidebar but with packing and getting stuff up for sale I am having a hard time keeping up. Please bear with me and please come back. Don't forget I am still doing a book giveway. Go to my Monday post and leave a comment. Or just comment here and say "I want the book". "Teacher, don't you care that we are drowning!" 39 Jesus stood up and commanded the wind and said to the waves, "Quiet! Be still!" Then the wind stopped, and it became completely calm. 40 Jesus said to his followers, "Why are you afraid? Do you still have no faith?" Last night the words Sometimes he calms the storm kept going through my mind. I thought of this verse. And then the rest of the lyrics say . . .
For some reason the lyrics of this song keep going through my head. I thought I would share it too. If your going through a storm right now remember he whispers. "Peace be still." Penny Raine is the hostess today. You can see me WFW entries here. I am looking forward to this and . . .
. . . this. I hope that dumb 'ol ground hog is wrong. I am tired of cold and wet. I am praying for warm weather. Because I am moving to a new house! We found a house over the weekend. And we signed a lease. I'll give more details and maybe post some photo's today. I am going over to show our daughter in a little while. I probably won't be posting as much but I have some give a ways and I am finally putting some stuff on Etsy so come on by. There is a book giveway up now. It is a devotional book. I posted it yesterday. Leave a comment and I'll enter you. I'll draw next Monday or did I say Sunday? I don't remember sorry anyway I'll post a new book next. And maybe some other stuff. I am still trying to give away the Pottery Barn platter. If you like it make me an offer. Have a Blessed Day. Thanks for coming by and Praising with me. Oh and would you pray for spring too? As I am sorting and packing I am finding things that need to find new homes. Please check my Tuesday Trades there might be something there you like. Come back often because I have more items to offer. Today I want to begin Giveway this is a book that I wrote a review on. You can go here to read the review. Wow that's lost of chances. I'll do the drawing on Sunday night and announce the winner. I think this book just might make a great Valentines Day gift so I want to get it in the mail by Wednesday. I'll be posting a give a way every Monday through February. Don't forget to check Tuesday Trade Days. I'll be adding more things there.